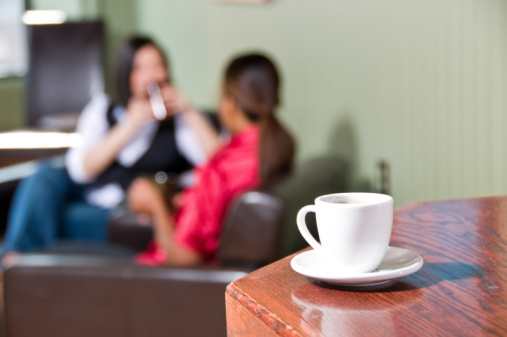 Researchers have reported excellent health benefits for coffee drinkers. According to the Espresso Online Guide, the benefits include boosting the metabolism, resulting in faster fat burning, suppressing the appetite, and reducing the risk of liver cancer. When news like this spreads, consumers who may have purchased an espresso on their way to work to get a boost of energy may begin to consider buying an espresso machine for at home use. The Salton Espresso machine offers a user-friendly choice. 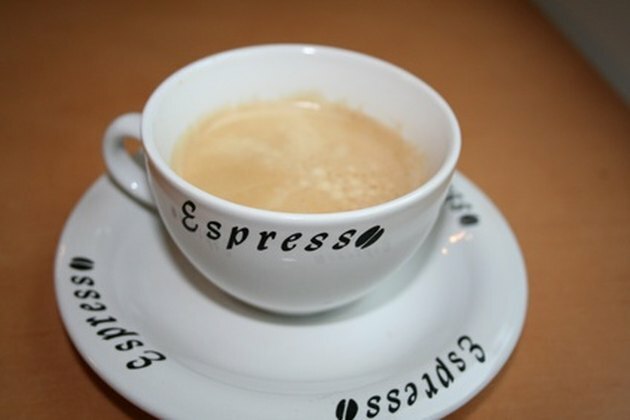 Espresso can offer a quick pick-me-up after a tiring day. Wash the operational components of your Salton Espresso maker. Soak the machine's carafe, carafe cover lid, filter holder and filter holder adapter in soapy, warm water. A cleaner machine will give your espresso a purer taste. Rinse the components until all soap traces are gone. Use your dish towel to dry. Ensure that the power button is switched to the "Off" position. Plug your Salton Espresso machine into a manufacturer-recommended electrical outlet. The power on signal light should not be on. Turn the round boiler cap located at the top of the machine counterclockwise to unscrew it. Take it off. Fill the glass carafe with the desired amount of water. The water amount should be equivalent to the quantity of espresso you want to make. Pour the water into the boiler from which the cap was removed. Screw on your boiler cap clockwise to shut it. Line the filter holder with a filter. Fill the filter with the desired amount of espresso coffee grounds. Tap the filter lightly against a table or other flat surface to pack the coffee. Remove stray coffee grounds from the filter rim and the filter holder. Stray grounds may cause the filter to not fit in the machine properly. Use the filter holder's long handle to lift it up. Center the handle in the middle. Position it upward into filter holder ring. They fit into each other like puzzle pieces. Turn the long filter holder handle to the right to lock the filter holder into the Salton espresso machine. Cover the carafe with its lid and place it under the filter holder if you want to drink your espresso from it. Line the carafe's opening with the espresso's pour nozzle. Fit the cup adapter into the filter holder if you want your espresso poured directly into one or two mugs. Place one cup beneath both nozzles. Place each of two cups under each nozzle. Power on the espresso machine. A red indicator light will signal the power-on status. Wait two minutes for the coffee making process to begin. The espresso will dispense as it is being brewed and will stop when all of the water in the boiler has been used. Power the Salton machine off.